A few months ago, I was asked by Penguin UK to write a foreword to a volume of Washington Irving’s work. Insanely honored by the request, I immediately said yes and got to work. 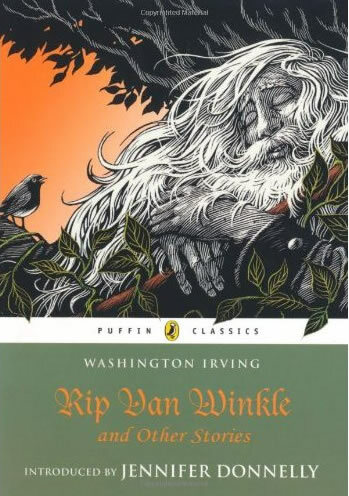 I chose to focus one story in particular – my favorite – Rip van Winkle. The volume, part of a classics series Penguin has recently issued, is now out. It’s a beautifully designed series and I hope that through it, many young readers will discover Irving’s work and come to love it as much as I do. My foreword is below; I hope you enjoy it. The way it works for most people is this: You hear a ghost story when you’re little and you believe it because hey, you’re little and you don’t know any better. But as you grow up, you stop believing ghost stories because you’ve learned to reason. To be rational. To tell fact from fiction. Well, that’s not the way it works for me. When I was small, I heard the story of Rip Van Winkle and I didn’t believe it. Because I was a little smarty-pants who knew there were no such things as ghosts. Here’s the gist. Poor hen-pecked Rip lives in a little village founded by Dutch colonists in the foothills of the Catskill mountains. It’s a few years before the American Revolution. One day, to escape from his nag of a wife, Rip goes hunting. He climbs way high into the mountains, dawdles around up there, and doesn’t start back for home until dusk falls. As he’s making his way down, he hears a voice calling his name. He can’t see anyone at first but soon he spies a strange-looking man who’s carrying a heavy keg on his back. The man asks Rip to help him and together they carry the keg to a dark ravine. Thunder rumbles as they walk. Once they reach the bottom of the ravine, Rip sees something even stranger – a whole group of men, dressed as if they came from a much earlier time, playing nine-pins. Rip knows he should get home but instead he hangs out and has a drink from the keg. And then another. He closes his eyes and falls asleep – for twenty years. Turns out Rip had been drinking with Henry Hudson, the English explorer who gave the Hudson River its name. Only thing was, Henry Hudson had been dead, at that point, for over a hundred and fifty years. I know what you’re thinking: What sane adult would believe all that hooey? Because if there’s one thing my grown-up self knows for sure, it’s that there is such a thing as ghosts. Look around if you don’t believe me. They’re everywhere. They’re in an old photo. And in the words of a song your grandmother sang. They’re in the lines of a birthday card sent long ago. Ribbons you won, now faded and dusty. Names on a plaque on a wall in your school. Close your eyes, just like Rip, and suddenly you’re not in school anymore. You’re in your dad’s car on your way to college, watching all the familiar places of your childhood fall away behind you. Close your eyes and it’s your first day at work. Your wedding day. The day your first child was born. The day you bought your house. Close your eyes and your babies are children. Your children are grown. The dog is old. Close your eyes and the ghosts crowd in. I write in a room in my house, high on a hill in the Hudson Valley. 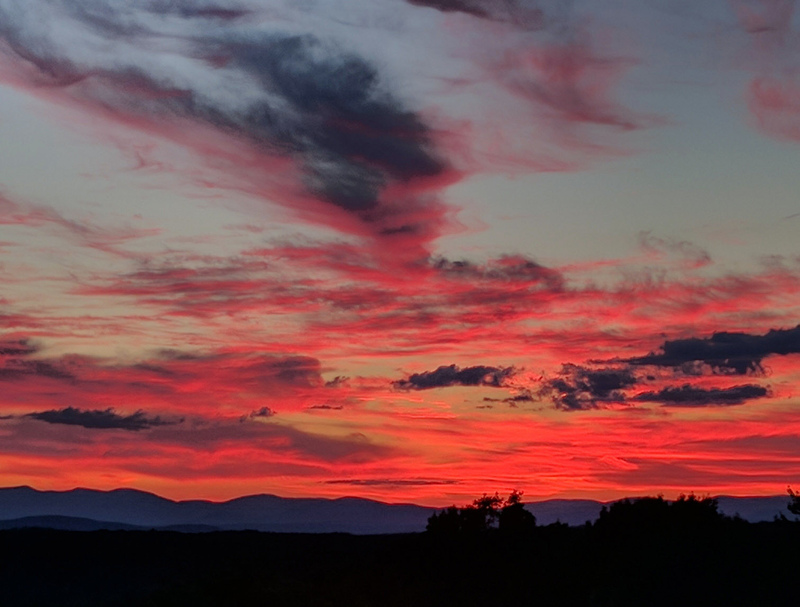 From my window, I can see the Catskill mountains. I look at them every day, in all kinds of weather, and I can tell you that even on the brightest days there are shadows on the hills – thin, snaking lines that mark the lonely glens and dells. As I look at those shadows, I know he’s there – Henry Hudson, in his laced doublet and high-crowned hat. Playing nine-pins with his men. Oh, children, never close your eyes. Next:Lost in a Book is On Sale!